The Law Office of Manning & Zimmerman PLLC was recently recognized for a Perfect Record Award by the Better Business Bureau of New Hampshire. 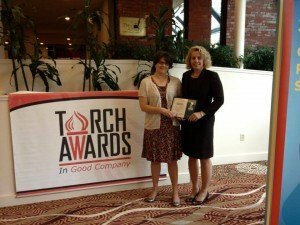 Accredited Businesses received a BBB Perfect Record Award at the annual Torch Award Ceremony for not receiving a single consumer complaint in the past 36 months. At Manning & Zimmerman Law we believe that excellent client service is the key to our success. Attorneys Maureen Raiche Manning and Anna Goulet Zimmerman thank everyone on our team; Associate Attorney Michaila Oliveira, Donald Manning, Lynda Dickson, Brenda Firth, Jackie Seger, and Deb Graziani, for their dedication to our clients and for helping us maintain our perfect record with the Better Business Bureau. The New Hampshire personal injury lawyers at Manning & Zimmerman Law invite you to subscribe to our newsletter. You can also follow us on Twitter. Medical Injury Lawyers Ask: How Safe is Your Hospital? If your doctor wants to admit you to a hospital for a needed medical procedure, would you refuse? Probably not. But according to the medical injury lawyers at Manning & Zimmerman Law, a recently published study estimates that 210,000 hospital patients die each year from preventable medical errors, roughly equivalent to 365 jumbo jet disasters. Speak up, ask questions, and ask again if you don’t understand. Know what to expect before and after a procedure, and if something changes, ask why. Pay attention and get the right treatments and medications by the right people; don’t assume anything. 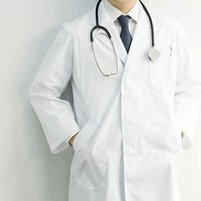 Educate yourself about your medical history: diagnosis, medical test, and treatment plan. Know what medications you take and why. Bring a list including supplements and allergies. Participate aggressively in your treatment. Ask doctors and nurses to wash their hands before touching you; check ID bracelets before treatments and medication; and label a procedure site with a permanent marker. The New Hampshire medical injury lawyers at Manning & Zimmerman Law would be pleased to discuss your matter with you and be your partner throughout the process. 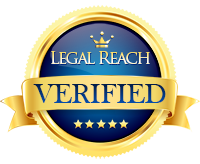 Our firm is experienced and prepared to deal with any situation that may arise. For a free consultation, please feel free to call us at (603) 210-4464, send us an email to info@MZLawNH.com, or reach out to us using the “contact us” or chat feature on our website. The New Hampshire medical injury lawyers at Manning & Zimmerman Law invite you to subscribe to our newsletter. You can also follow us on Twitter. Applying for Social Security Disability Insurance (SSDI) benefits in New Hampshire can take more than a year. Many people who experience an injury or illness that makes them unable to work struggle with how to support themselves and their families while waiting for Social Security benefits. Some people find that while their medical impairments make them unable to work enough to support themselves, they are able to work on a limited basis. Working while on or applying for SSDI may impact your eligibility for benefits or the amount you receive. Those receiving SSDI benefits can earn up to $1,180 per month in 2018 and still receive the full Social Security disability monthly benefit. This amount of money is known as Substantial Gainful Activity (SGA). Earning more than that amount can cause you to lose your benefits. Individuals attempting to return to work can earn any amount of money for up to 9 months in a 5 year period without losing their benefits. This period is called a Trial Work Period. Once the nine months of the trial work period are used up, earning even $1 more than SGA can result in losing benefits. In 2018 any month where a person earns more than $850 counts as a month of the trial work period. Each year the Social Security Administration posts the amount of earnings that trigger a trial work period. 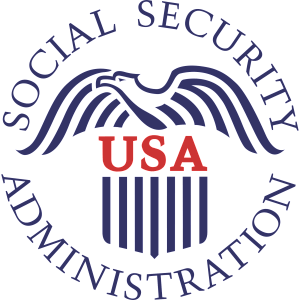 After more than the trial work period amount in 9 out of 60 months, the Social Security Administration will determine your average earnings over that period. If the amount is more than SGA, benefits may be terminated. If you are receiving SSI, your benefit will be reduced proportionately with your income. SSI also has a limit on the total amount of income you can receive which includes income you earn and income that you receive from sources other than work. Generally, while working the first $85 dollars you earn each month is not counted. If you earn more than $85, your SSI benefit will be reduced by 50 cents for each dollar you earn. Social Security will send you a notice alerting you to changes in your benefits due to income that you earn. Are you are attempting to return to work while applying for or receiving Social Security benefits? If so, you should speak with a New Hampshire disability attorney to determine how your benefits may be impacted. You may need a New Hampshire attorney who is experienced in disability law to assist you with your claim. There are numerous deadlines and countless rules and regulations that must be met. At the Law Office of Manning & Zimmerman PLLC, your initial consultation with a New Hampshire disability attorney is free. Please feel free to call us at (603) 210-4464, send us an email to info@MZLawNH.com, or reach out to us using the “contact us” or chat feature on our website. The New Hampshire disability attorneys at Manning & Zimmerman Law invite you to subscribe to our newsletter. You can also follow us on Twitter. 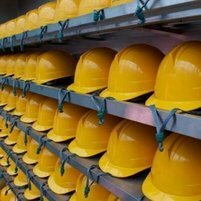 Workers’ compensation law is designed to help injured workers and their families. It was enacted more than 100 hundred years ago. Before the workers’ compensation system, injured workers had trouble getting needed medical treatment, weekly wage replacement, or any vocational retraining assistance. The rules that govern this law can be complicated and your employer and their insurance carrier have lawyers to pursue and protect their interests, not yours. You can receive a free consultation from the experienced workers’ compensation attorneys at Manning & Zimmerman Law. We strongly recommend that you do so to learn about your rights and benefits before it is too late. If your injury claim has been denied, you should see an attorney right away. You will need to fight for the benefits that the law provides for you. You must request a hearing at the New Hampshire Department of Labor within 18 months of the initial denial or you may be barred from any benefits. This can be devastating, so do not delay getting legal advice if you have been hurt at work and require medical treatment and/or have been restricted from working as a result of your injury. We would be happy to speak with you and answer any questions you may have. You may need a New Hampshire attorney who is experienced in workers’ compensation law to assist you in your claim. There are numerous deadlines and countless rules and regulations that must be met. They require you, your employer, your doctor, and the workers’ compensation insurance carrier to take certain action. The insurance carriers have access to experienced and knowledgeable lawyers to work for them. You should consider doing the same. At the Law Office of Manning & Zimmerman PLLC, your initial consultation with a New Hampshire workers’ comp attorney is always free. 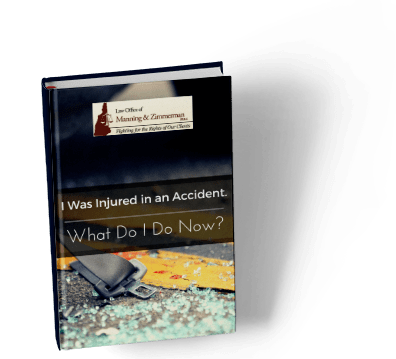 The firm’s legal, medical and extensive trial experience is utilized to obtain full and fair compensation for pain and suffering, lost wages, medical bills and permanent injury. The NH work injury lawyers at Manning & Zimmerman Law invite you to subscribe to our newsletter. We are also on Facebook and you can follow us on Twitter.